Suitable for cleaning on hardwood, carpet, tile floors, car, bed, etc. Made of ABS material, durable and not easy to rust. 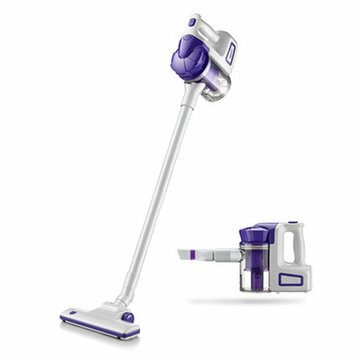 2-in-1 handheld and stick, provide two style vacuums in one for cleaning. With a rotatable cleaning head, easy to clean closer to walls and edges, under beds, sofas, kickstands, sweep all kinds of dust effectively. Ergonomic handle design, easy to lift up.